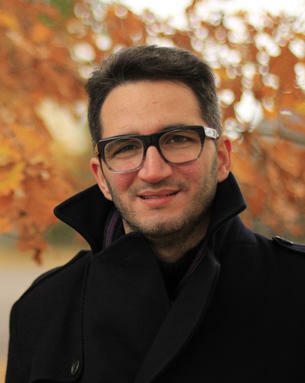 Filippo Sanfilippo holds a PhD in Engineering Cybernetics from the Norwegian University of Science and Technology (NTNU), Norway, with a focus on alternative and flexible control approaches for robotic manipulators. His research interests include robotics, wearables, software engineering, human-robot interaction, artificial intelligence and control theory. He is currently appointed as an Associate Professor at USN, Norway, where he teaches Modern Embedded System Programming for Robotics Applications, and Modelling and Simulation. He carries a vast experience in participating to European research programs and various national projects from the Research Council of Norway (RCN), Norway. He is an IEEE Senior Member. He is currently the Membership Development Officer for the IEEE Norway Section. He is also the treasurer of the IEEE Robotics and Automation, Control Systems and Intelligent Transportation Systems Joint Chapter. He is also the treasurer of the Norsk Forening for Kunstig Intelligens (NAIS), the Norwegian Association for Artificial Intelligence. He has authored and co-authored several technical papers in various journals and conferences. He is a reviewer for several international conferences and journals. Secure Multi-Sensor Autonomous Robotics and Surveillance Operations for Search and Rescue (SMART-SAR) operations in smart buildings. Funded by the Process, Energy and Automation (PEA) Engineering Program, USN. This project includes one PhD candidate position hosted at USN. The position is a cooperation between the Department of Science and Industry Systems in Kongsberg and the Department of Electrical Engineering, Information Technology and Cybernetics in Porsgrunn. This project is strategically relevant because it can provide cooperative research between campuses at USN. The SMART-SAR projects aim to complement smart buildings with a combination of new sensing technologies, enhanced reality (AR) tools and robots that can help people before, during and after catastrophes. The combination of these expertise can help establish a whole new field of research. A Digital Twin for Eco-Friendly Autonomous Boat Cleaning Robotic Systems (Twin-Robots). Funded by the Oslo Fjord Fund. This project is a collaboration with Marine Pro AS. The project includes one software / mechanical engineer position (50%) hosted at USN for 2 years. This project strengthens USN's position as the premier institution for research into eco-friendly and sustainable robotics in collaboration with leading industrial partners. The Aquatic Surface Robot (AnSweR). This is a multidisciplinary collaboration with the Laboratory of Evolutionary and Behavioral Ecology (LEBE!) At the Department of Natural Sciences and Environmental Health, USN. This collaboration was established by participating to an Idea Competition at USN. The presented joint idea concerns the design of the Aquatic Surface Robot (AnSweR) - a low-cost, multipurpose Unmanned Research Vessel. He is currently the Membership Development Officer for the IEEE Norway Section. He is the treasurer of the IEEE Robotics and Automation, Control Systems and Intelligent Transportation Systems Joint Chapter. He is the treasurer of the Norwegian Association for Artificial Intelligence (NAIS). Best Conference Paper at the Proceedings of the International Conference on Remote Engineering & Virtual Instrumentation (REV), University of Applied Sciences, Düsseldorf, Germany, 2008. For a complete Resume, please visit http://filipposanfilippo.inspitivity.com/ . For an updated list of my publication, please visit http://filipposanfilippo.inspitivity.com/ .